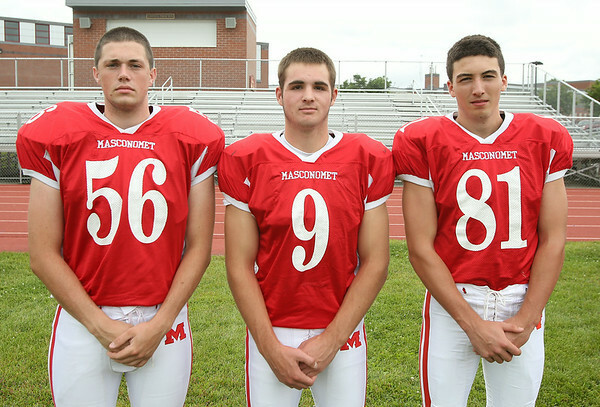 From left: Masconomet Regional High School Seniors Johnathan Schiff (56), Gavin Monagle (9), Derek Cleveland (81). DAVID LE/Staff photo. 8/22/14.